When you make Woodbury Country Club your wedding destination, let us make your special day truly memorable with our team of expert wedding photographers. We will be there, discretely, every step of the way to capture your wedding story. 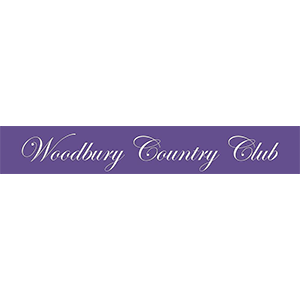 Why choose the Woodbury Country Club for your special day? Because their staff takes pride in their commitment to make your celebration unique and ensure that your guests feel right at home. On your wedding day, the Woodbury professional wedding team is there to provide the exclusivity and privacy you expect for such a special event. Close your eyes and imagine a sprawling eighteen-acre estate complete with tumbling fountains, colorful gardens, and exquisite illumination and you are there. The Woodbury estate is divided with your total privacy in mind. You can choose from a selection of outdoor chapels, areas to enjoy cocktails, and scenic settings for capturing your unique wedding photographs. The venue also has suites on separate floors, each having private restrooms and bridal salons. The Woodbury staff will be with you every step of the way, to help you design a unique wedding day and night, from your walk down the aisle to your celebratory reception. Their experience and facilities are combined to ensure you have the wedding of your dreams. This venue has a capacity of 300+. Owned and operated by the Passavia family, Woodbury Country Club has opened its impressive estate for weddings for more than 40 years, so you can be sure they know exactly how to plan and execute a wonderful wedding. Your family and friends will be enchanted by this exclusive setting, with verdant gardens, outstanding cuisine, and unmatched service. You will not have to compromise when you plan your wedding at this fine establishment because the Passavia family and their staff are committed to excellence. Over the years, Woodbury has enchanted many guests, providing them a definitive experience during which no detail is overlooked. Because you want your wedding to be unique, Woodbury will assist you with creating a custom-designed menu, complete with dishes that will delight even the most refined palate. Each item for your wedding banquet will be prepared by world-class masters of cuisine. The Woodbury’s white-glove service adds a singular touch to every course. Plan your wedding reception on the grandest scale, and we will be there to capture all of those special moments and feelings on camera so that you can keep them for years to come. On this, the most important day of your life, our team will capture all of those special little details, so that when you look back through your wedding album, it will be just like reliving the moment. Contact us today to book an appointment so we can show you our previous wedding photographs and talk about your wedding plans.